The island nation of Cuba, with its population of 11 million, has had something of a turbulent past. The Spanish colonised it back in 1492, and the nation has only attained independence in 1902. About 57 years later, a revolution occurred which led to the formation of a communist-led state. Ever since the revolution, levels of discontent have been high on the island. A communist government runs Cuba and maintains close ties with Russia. One of the downsides to communism in Cuba is that it is a poor country. The Cuban government has recently allowed citizens to buy foreign-made cars. The sale of those cars is only carried out under strict state laws and supervision. 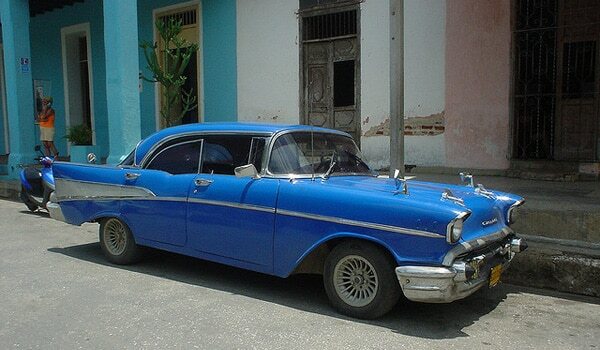 Anyone that has travelled to Cuba will doubtless have seen that most cars on the road are from the early 1950s. I read with interest many recent news reports on the subject. Because the communist state has a monopoly on the sale of foreign cars, they have set huge mark-ups on their sale prices. For instance, a Peugeot 508 costs an astonishing $262,000 in Cuba! But if you buy that same car in the United Kingdom, you will only have to pay $29,000. According to some sources, the high prices were set so that upgrades to the public transport network can start. The mark-up in prices for some cars equate to around 90%. If you wanted to buy a used Land Rover Discovery, you might pay close to half a million dollars instead of $49,000 for a three-year old model. Many people have commented on the foreign car prices as being “crazy.” Most Cubans have no choice but to continue driving their pre-revolution cars around the island. One of the things that attract tourists to the island is the sight of vintage American cars driven on a daily basis. For some, it can seem like they have travelled back in time. Because of the many trade embargoes placed on Cuba, citizens have to make their own spare parts by hand. Most of the retro cars in use today no longer feature their original V8 engines. Owners have instead fitted modern diesel engines as they are cheaper to maintain, and diesel fuel is cheaper to buy on the island. The country’s ageing fleet of trains and buses is in dire need of replacement. As with the cars, all public transport vehicles are foreign-made and secondhand. They come from places such as Russia, France and other European countries. Some ex-fleet vehicles were even donated to Cuba by other countries, such as the Netherlands. Even Fidel Castro himself once admitted that the country’s economists had got it wrong. Some analysts state that Cuba will never be free of economic turmoil and hardship. Despite changes to some government policies, the nation is still struggling to survive. The communist-led government has got a long way to go before they can gain economic freedom. Until that time, they will still need foreign aid and cash.